The ball strikes the court, sending clay rising upwards toward the racket of an eager tennis player. The ball bounces with it, high into the air before rocketing into the tightened strings of the racket. The force of the racket pushes the ball forward once more, and it shoots over the net before bouncing just out of reach of the opponent’s racket. A crowd of girls waits outside the court, and they cheer for their teammate’s victory. Pierson tennis has been a sport that hasn’t gotten too much consideration from the students over the past few years. Not too many girls play tennis in middle school, and many of those who did began to play volleyball when it came to a JV team. However, over the past two years, the Pierson Middle School team has greatly increased in numbers in comparison to previous years. The increased enthusiasm for tennis even allowed the girls to come in second place in the league, losing only to West Hampton last season. Unfortunately, the majority of the girls on last year’s Middle School team were in eighth grade, and are graduating this year to play JV at East Hampton. Yet it seems that it may not always stay like this. Mr. Bramoff’s statement regarding the addition of a possible JV tennis team for Pierson has sparked the interest of many of the graduating eighth graders, as this would give them the opportunity to not only play together once more as the strong team that they were last year, but it would give them another chance to possibly beat Westhampton, their main competition last season. “Playing on the Middle School tennis team was an amazing experience.” Eighth Grader Chloe Lucyk discusses. “I have no bad memories and I couldn’t ask for better teammates. 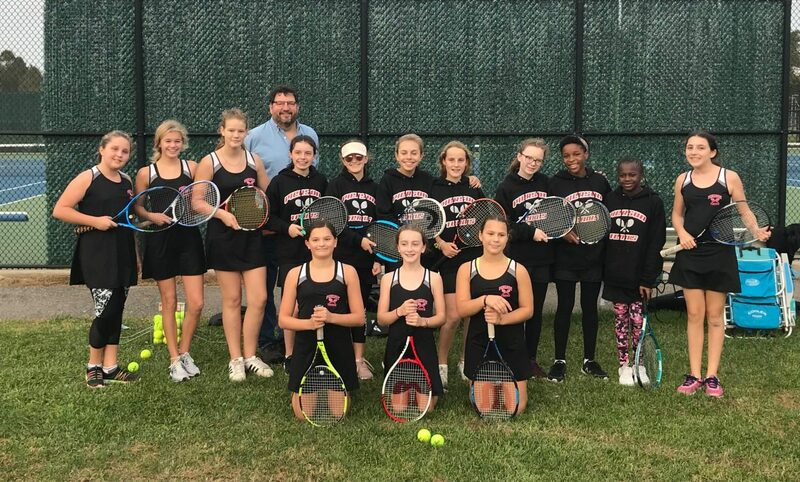 I would truly love it if Pierson could create a JV tennis team of our own to further our learning and enthusiasm for the sport.” Although the 2019 season doesn’t look too promising for a local Sag Harbor JV team, the idea of a possible team in the nearby future seems auspicious, and the future seems to be bright for Pierson Tennis.